Penchura is a Babylonian word for PAINTING, and like paintings bring ideas and visions to life on canvas. We bring ideas and visions to life in recreational spaces! For the past 11 years Penchura, LLC has placed an emphasis on providing great recreation spaces to communities using only the highest quality products and service. Our team is made up of Recreation Professionals with more than 80 years combined experience in the business. We have on staff professional engineers, licensed landscape architects, LEED accredited professionals, designers and support staff will help you every step of the way. 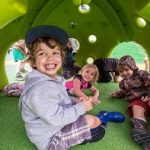 We partner with clients to develop outdoor spaces that meet community needs and promote engagement in play, resulting in more than 4,100 playground, spray park and shelter projects. Penchura, LLC is pleased to announce our expansion into Ohio!